Our Drawer-In-Housing magnetic separators, also known as Drawer Magnets or Grate In Housings, consist of rows of round magnetic tubes that are assembled into drawers contained inside of a housing. 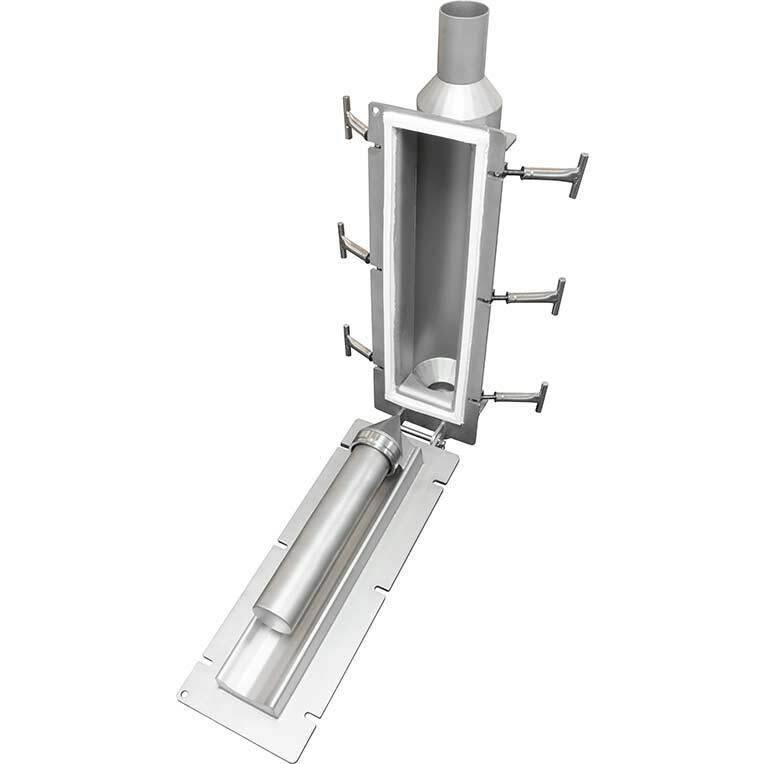 IMI's new LTH (Large Tube Housing) incorporates 3" diameter rare earth tubes into our proven Drawer-in-Housing configuration. 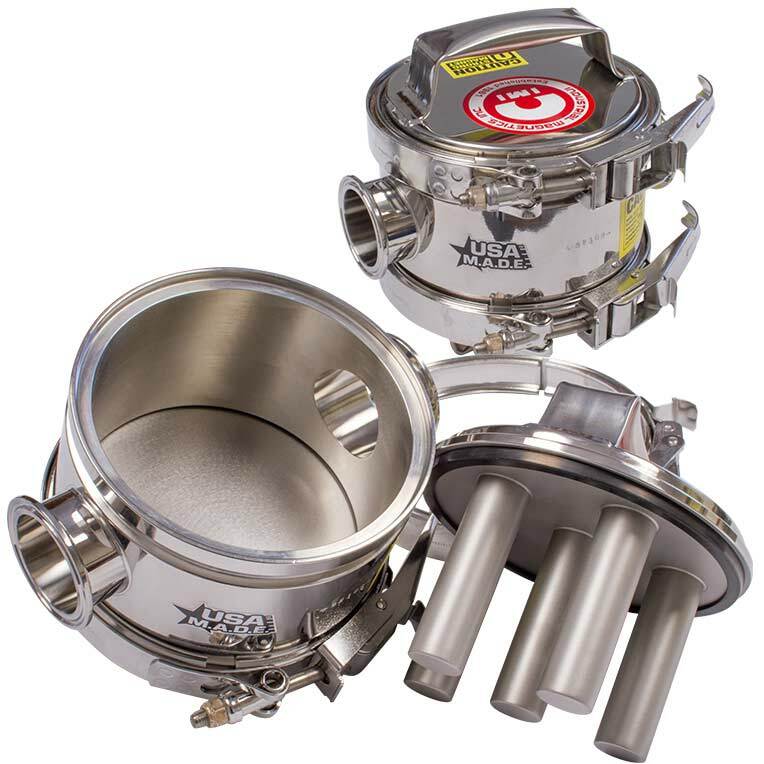 Aerodynamically shaped with a solid stainless steel nose cone diverter, the flow-thru design of the Bullet® Magnet maintains uniform velocity in line flow, allowing it to be used anywhere in the pneumatic system. 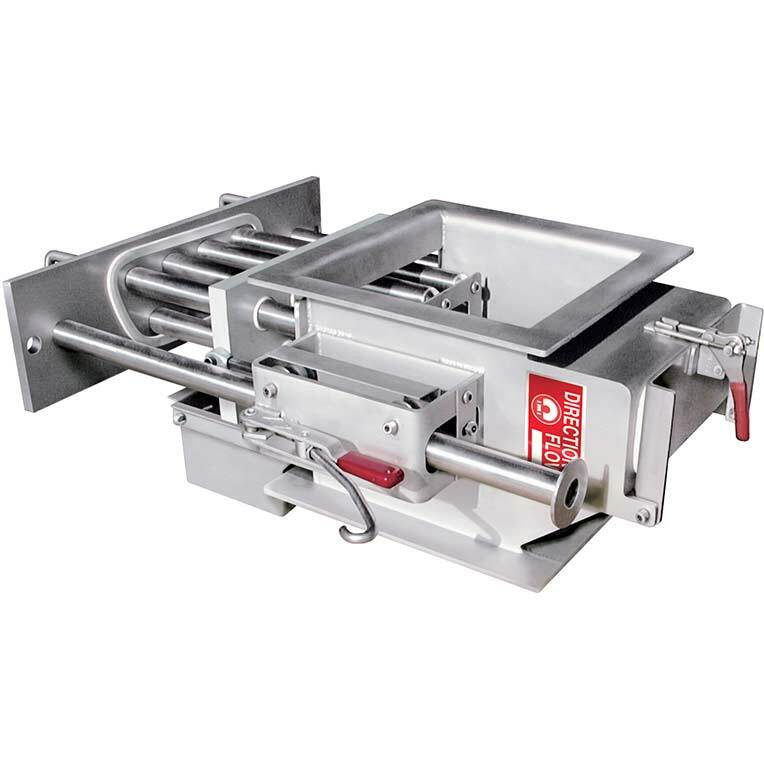 When tramp metal protection is required for liquid lines carrying viscous to fibrous products, such as meats, fruit preserves, cheeses and sinewy items, the plate style T-Trap is ideal. 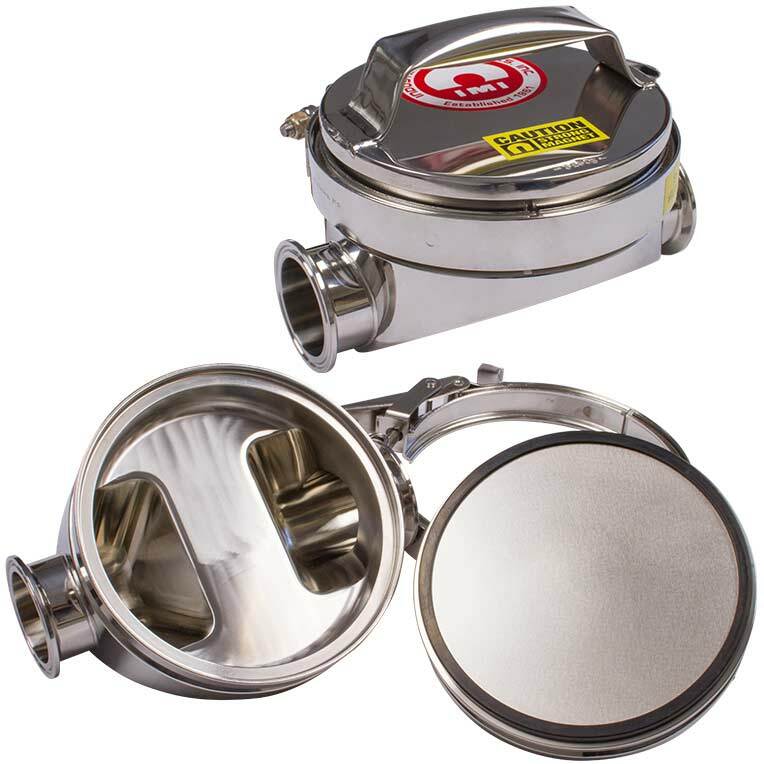 This magnet allows the product to flow through the housing without causing product bridging. 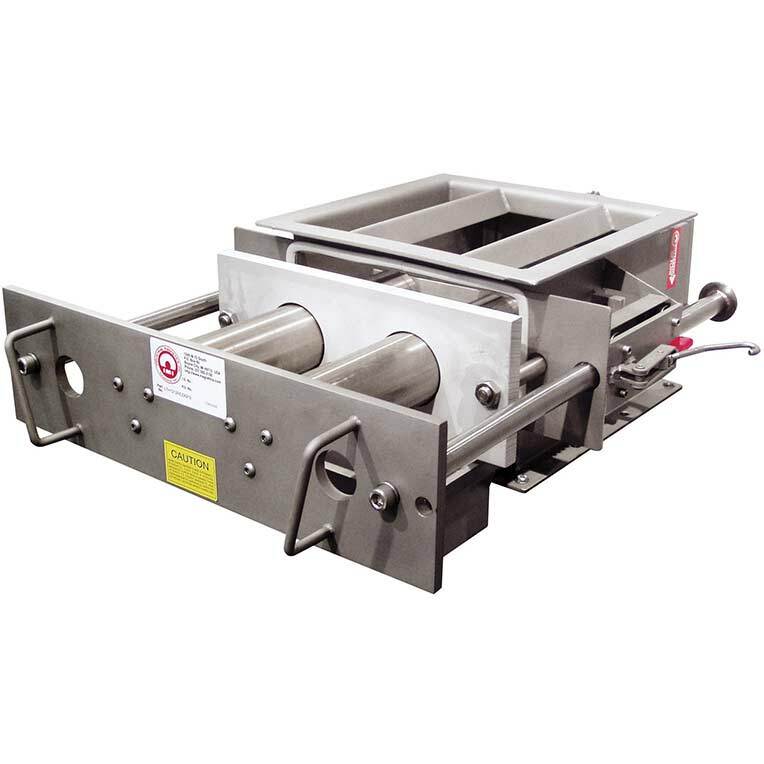 Industrial Magnetics' T-Trap Magnetic separators are designed for heavy duty, large volume liquid and semi-liquid line flow systems.